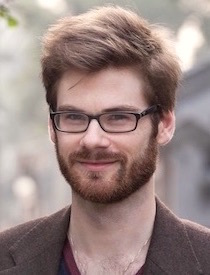 Alec Ash is a writer and editor living in China. 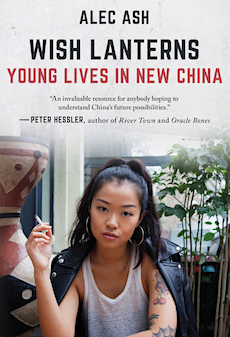 He is author of Wish Lanterns (Picador, 2016), literary nonfiction about the lives of six young Chinese, which was a BBC Book of the Week and featured in this New York Times interview. His articles have appeared in the Guardian Long Read, 1843, Dissent, The Economist, Sunday Times, Vox and elsewhere. He is currently Managing Editor, part-time, of the new(ish) China Channel at the Los Angeles Review of Books. Born in England, Ash studied English literature at Oxford University, where he edited The Isis magazine and hitchhiked to Morocco. On graduating, he taught in a Tibetan village in western China, before moving to Beijing in 2008. His work has appeared in the anthologies Chinese Characters (UC Press, 2012) and While We're Here (Earnshaw Books, 2015), co-editing the latter from his old website the Anthill. He is also Asia Editor at Five Books, where has interviewed over sixty authors about their literary influences. In his free time he enjoys running, piano, tai chi, and writing about himself in the third person.